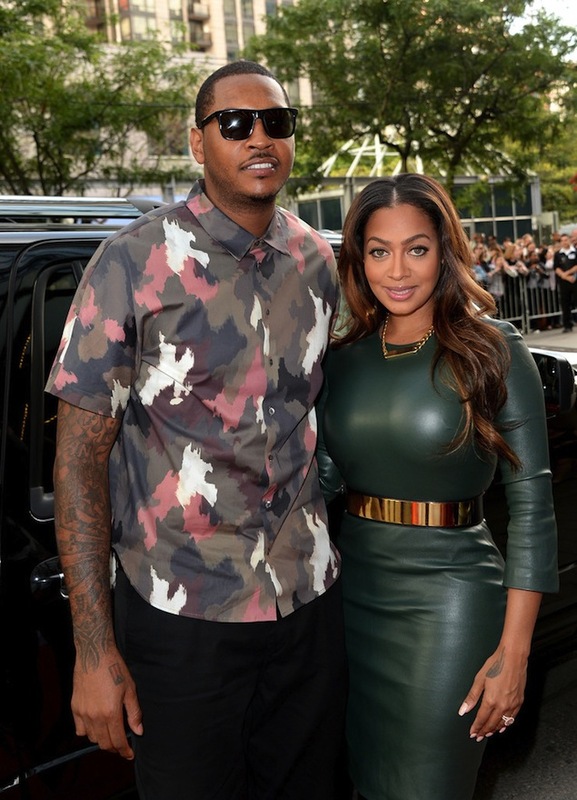 NBA superstar Carmelo Anthony was recently spotted out with his wife LALA wearing a $250 3.1 Phillip Lim Dark Khaki Camouflage shirt, completed with black pants and sneakers. 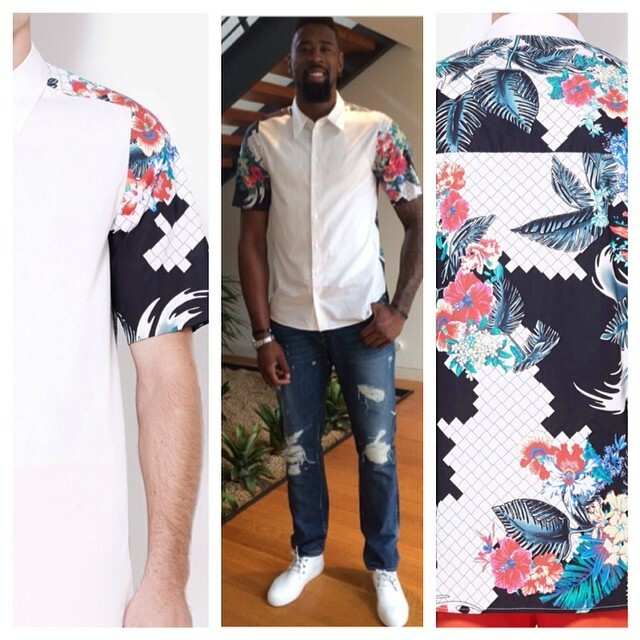 I like the unique camouflage print that Phillip Lim used for this piece, I’m so tired of the regular green camouflage. Are you a fan of the look? 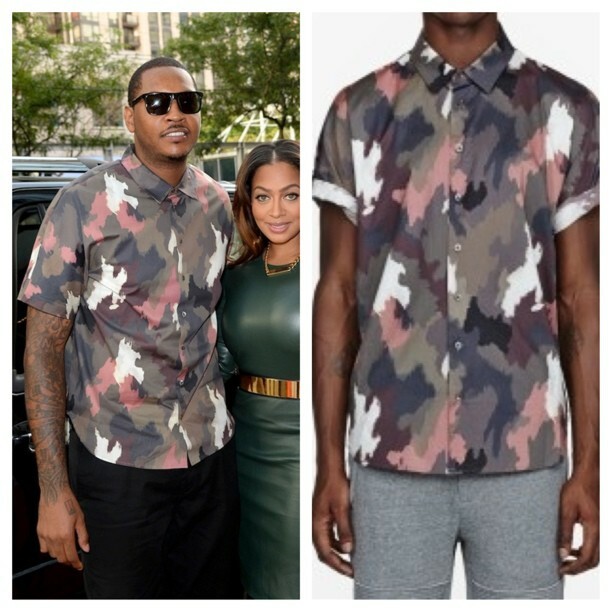 STYLE: NBA Carmelo Anthony Wearing 3.1 Phillip Lim Fall/Winter 2013 Jacket STYLE: Carmelo Anthony Wears 3.1 Phillip Lim Panel Shirt For Grey Goose Le Melon ‘Kings Of Culture’ Event STYLE: NBA Deandre Jordan Wearing Phillip Lim Raglan Button Up Shirt STYLE: Chris Paul’s Valentino Camouflage Polo Shirt. 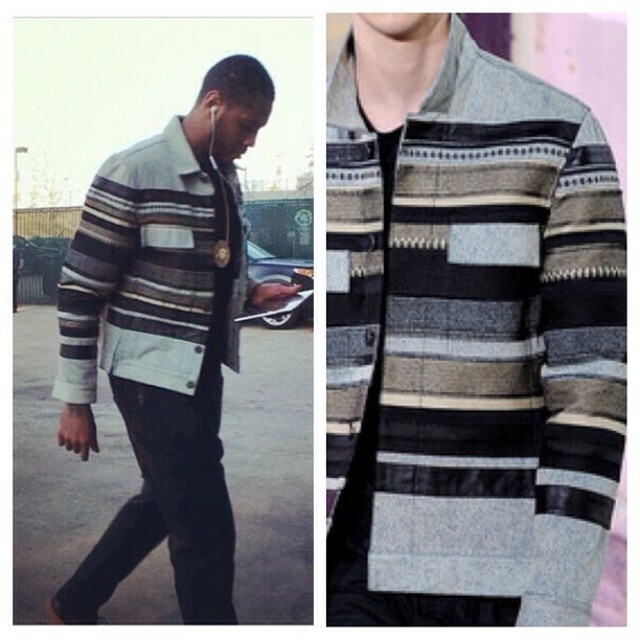 STYLE: MLB Prince Fielder’s Instagram 3.1 Phillip Lim Cowboy Print T-Shirt.